This update fixes two issues that have been reported, following changes that were made in 2.6.27 to Captions and the addition of a JCE File Browser Media Field. In addition, a few new vintage filters have been added to the Image Editor, for all you retro photo fans out there! The Captions plugin allows you to create styled caption blocks on images with accompanying caption text. Since its introduction, this has been done by wrapping the image element in a span tag, with a second span for the caption text. Using span tags, with some inline styles, has allowed the caption to be placed almost anywhere inside an article, usually within a paragraph alongside some text, as in the example below. 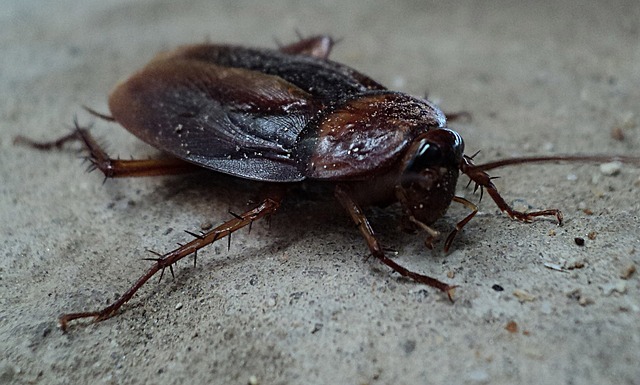 Armour-like back... One morning, when Gregor Samsa woke from troubled dreams, he found himself transformed in his bed into a horrible vermin. He lay on his armour-like back, and if he lifted his head a little he could see his brown belly, slightly domed and divided by arches into stiff sections. The bedding was hardly able to cover it and seemed ready to slide off any moment. His many legs, pitifully thin compared with the size of the rest of him, waved about helplessly as he looked. The FIGURE and FIGCAPTION elements were introduced in HTML5 to define and caption media. These elements seemed a natural fit for Captions, but I resisted implementing them for some time, due to cross browser support, difficulties in making them responsive, and that the FIGURE element was styled by the browser by default. Recently at the request of a user, I relented, and changed the Captions plugin to use FIGURE and FIGCAPTION. This was unfortunately a mistake, for the simple reason that a paragraph cannot contain a block element, like FIGURE. So, when a user attempted to create a caption like the one above, the editor would insert the paragraph, in its entirety, inside the figure element, attempting to enforce the HTML rule. This is obviously not a desired result, and for this reason, as well as display problems introduced by some templates styling of the FIGURE element, the decision was made to revert the change. 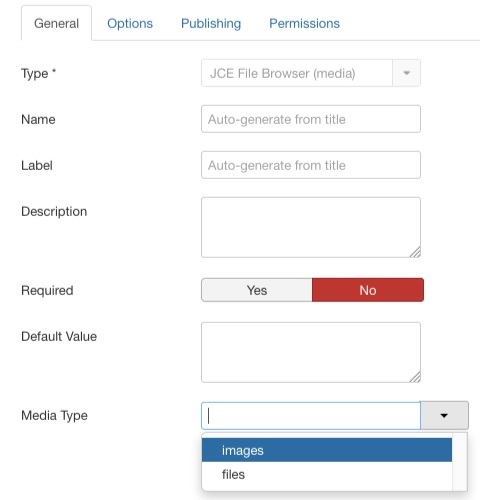 JCE includes an option to replace the Joomla Media field with a version that opens the JCE File Browser instead of the core Media Manager. 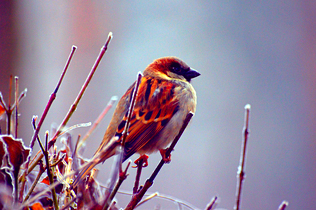 This is usually used in the Images and Links tab for the Intro Image and Full Image fields. With the introduction of Custom Fields, this allowed the JCE File Browser to be used wherever a Media field was added. A user discovered however that this would not work when a Media field was assigned to a nested category. The solution was to create a new JCE File Browser (Media) field, which could be used instead of the core Media field. This was unfortunately poorly implemented, but testing during development and in pre-release versions did not show any issues. With the 2.6.27 release, users reported a conflict with the core Media field, with the option disappearing from the Type list when creating a new field. This has now been corrected and in addition, a parameter has been added to the JCE File Browser (Media) field to specify the media types to display - images, files or a comma separated list of file types. A few vintage-style filters have been added to the Image Editor, simulating a vintage pinhole camera, an Eastman Kodak Brownie camera, Eastman Kodak Kodachrome film, and a technicolor effect.